Visier Meyasetsu Sanyü, his family and fellow villagers of Khonoma, fled for their lives to the jungles of Nagaland in 1956. He and his family survived privations and starvation for over two years, though many others did not. Visier emerged from the jungle aged eight and into a turbulent world altered by Western influence, civil war, and colonial oppression. He found refuge from war in Australia, where during two decades he faced the loss of home and tradition, and found healing and a second home. This powerful story tracks Visier’s fascinating journey from indigenous religion to Christianity, from village school to a professorship, and from small town life to appearances before the United Nations. 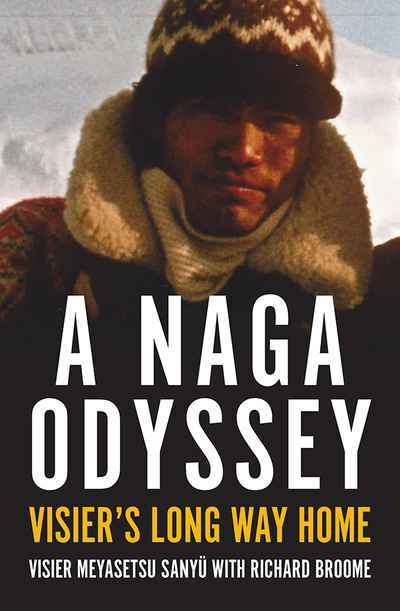 His kaleidoscopic sixty-year odyssey to find peace, tranquillity, and forgiveness for others, is vividly told against the rich tapestry of the Naga quest to be free.